My name is Allan Shiller and I am the president and founder of Mosquito Ninjas. I know how much I enjoy being outside in the nice weather and I wanted to offer a service that would help families enjoy their yard for as long as they want. 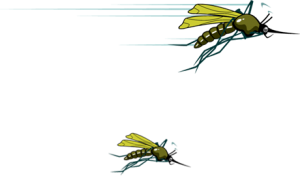 After all, a bunch of annoying mosquitos should not dictate when it is time to go inside. After a long cold winter stuck indoors, the last thing a homeowner needs is pesky, biting, itchy, disease carrying mosquitos chasing you back into your house. Our mission is to provide you with a “Bite Free Yard”. We provide the safe and effective way to help friends, family and pets stay outside as long as they like! 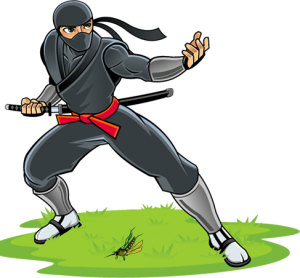 Our approach and how we began Mosquito Ninjas is what sets us apart from the competition. As the owner, I asked myself “How do I start this business and do it right?” I looked at mosquito control franchises but they seemed to be a little too “businessy” and lacked the personal touch and control I felt my customers would want and appreciate. This is a local business and I did not like the idea of having someone else in charge of the service I provide for my clients. Additionally, it seemed like the franchise alternatives really didn’t have much experience. They’re all just a few years old. So, I had a challenge: How do I establish a high-quality business and draw upon the experience of a pro in the industry? Here is what I decided to do: I searched the country for a quality mentor in the industry. I was looking for a successful entrepreneur who had an impeccable reputation, a wealth of knowledge and experience, was actively involved in the improvement and growth of the industry, and was eager to help me to start my business. If I could find that individual, I would start my company. After searching high and low, I found the perfect mentor that has more than exceeded my expectations. He has been in the industry more than twice as long as most of the franchise alternatives I researched. Each and every year his local company earns a customer satisfaction and retention rate of well over 90% and he is an accredited Better Business Bureau member that consistently earns an A+ rating. The best part was that he was absolutely delighted to help me start and develop my company, the “Mosquito Ninjas”. I hope you enjoy browsing my website and decide to give us a call and let us help you take back your yard!